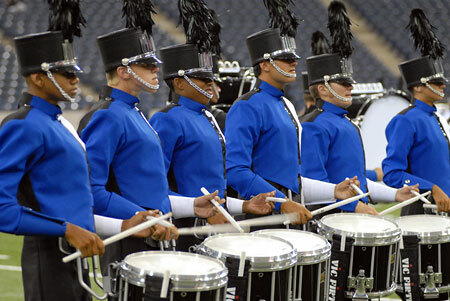 Two corps are gearing up for their return to DCI competitive action in the coming year, much to the delight of drum corps fans and corps supporters across the country. Following two seasons of inactivity, the Columbus, Ohio-based Capital Regiment is preparing to return to the field of competition in 2009. With the audition and program design processes for this corps already underway, the organization is working with members of the Drum Corps International Participation Review Committee to return their organization to active status as a participant on the upcoming DCI Summer Tour. The corps last competed during the 2006 season finishing 16th at the World Championships that year. Also preparing to return to activity is the Seattle, Washington-based Cascades. Taking the 2008 season off to regroup and strengthen its regional recruitment base, the Cascades completed the 2007 season finishing 18th at the DCI World Championships in Pasadena, Calif. "We want to help both of these groups achieve success when they return to the field next season, and we want to continue to work with them to ensure their long-term sustainability, while also focusing on the creation of a positive experience for their members every step of the way," said Mark Arnold, chairman of the DCI Board of Directors and director of the Blue Knights of Denver, Colo. 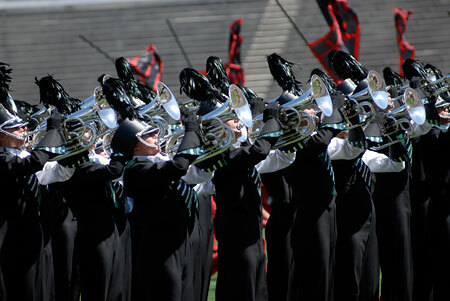 According to Arnold, "When Drum Corps International convenes its annual business meeting in January, the Board of Directors expects to recommend the Cascades for participation as a World Class corps on the 2009 Summer Tour to the full voting membership. We also expect to recommend the Capital Regiment for participation as an Open Class unit, where they can reestablish their program with their intention of an eventual return to World Class operations. Both of these corps are utilizing the resources established by the Participation Review process to convert organizational deficiencies into strengths and to offer their members the exceptional experience of membership in a Drum Corps International corps." Starting the evaluation process are Southern California's "City Sound," and the "Music City Drum Corps" from Nashville, Tenn. The "Chippewa Valley Brigade" of Eau Claire, Wis., also continues the development of its program, with the assistance of the Participation Review Committee. "Although we're always pleased to welcome new organizations into the exciting world of Drum Corps International, we are first and foremost committed to assisting them in the establishment of operational procedures that will ensure a safe and worthwhile experience for all concerned," said Dan Acheson, executive director and CEO of Drum Corps International. "The demands on the modern day drum corps have never been greater, and the challenges facing businesses of all sorts are obviously increased during turbulent economic times," says Acheson. "Non-profit organizations are built on the passion of many great people, and we hope to continue to share some of the best practices of our member corps to help create stronger organizations which are well-equipped to navigate the challenges of the day."